If you missed #14 click here. Best Moment: Unbearable - my favourite ever Crash level. Riding Polar the bear whilst being chased by a massive polar bear is just an exhilarating moment! I know I've mentioned it before but last year I covered my Top 30 Favourite Crash Bandicoot Levels, and, to spoil what came in at #1, it was Unbearable from this game. To read the full list click here. Sometimes I question to myself, what is my favourite Crash game, is it Crash 2, or is it Crash 3? 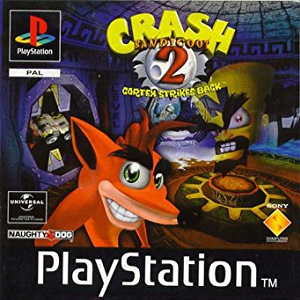 Overall I always say Crash 3, but Crash 2 does come close in some ways. I have a huge amount of appreciation for Crash 2, mainly because of how much of an improvement it was from Crash 1. 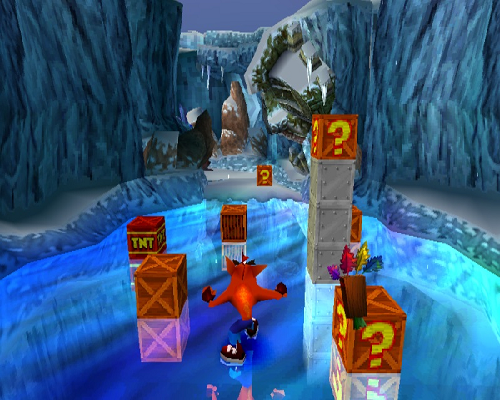 Some of the level designs in Crash 2 are just absolutely splendid, and its inclusion of crystals into the Crash formula was just a spark of genius. The storyline is far more involved in Crash 2 from Crash 1 as well. It's simply in pretty much every single way possible, better than Crash 1. But Crash 3, is just that much more polished and slicker than Crash 2, so that's why it will, inevitably, be placing higher in this list than Crash 2. Read what came in at #12 by clicking here!